Large artwork appears, with player controls. b) Selecting the button does nothing. This is consistent and repeatable. Same issue as this person is reporting. It is an Apple Remote bug I believe. Nothing in Monkeytunes sends the word "Full Album" that is all on the Apple Remote side. Is there a chance that you will report it, Melloware? I have tried via the link you mentioned but I have to register as a Developer, and I am not a Developer. jchris wrote: Is there a chance that you will report it, Melloware? I reported it. No response. Strange that they don't feedback. Can we gon on with this thread for a while. I'm using Danish versions of Ios 7.0.4. Can it be a problem with language versions? My guess is it absolutely has to do with the Language. Because the people that reported in so far to me have both been Non-English. I blame Apple's Quality Assurance department for not testing in all languages. My guess is Apple will fix it with an update. I have verified this button does nothing. I am not sure why it even appears but it must be some flag I have set in MonkeyTunes that the Apple Remote is interpreting to show this button. Remember all of the stuff we have done is reverse engineered what we think the Apple Protocol is doing! And the new version 4.2 of REMOTE did not solve the problem. It is exactly the same as before updating. 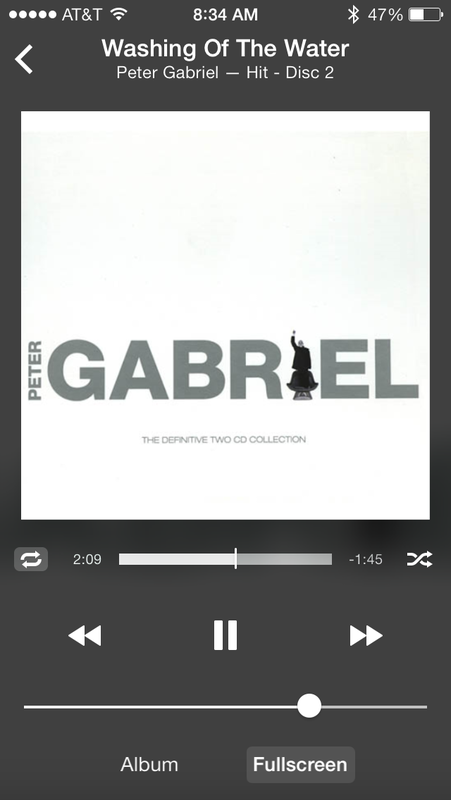 On iPhone the two buttons "Album" and "Full Screen" do what they are intended to do. As they did before updating. still nobody with a solution for this strange problem? Unfortunately no. And no one else has even reported it.